MY SKIN HAS NEVER FELT SO AMAZING, IT'S SO SOFT AND SMOOTH! We want to change the way people view skincare. Our serums are unprecedented in the marketplace and challenge conventional skincare. Supported by certification and proven results, Biologi simply delivers radically improved skin. Biologi Founder Ross Macdougald has been creating plant extracts for inclusion in cosmetic products since 2012. Frustrated by the levels at which his serums were being used in commercial products, he created Biologi, the world’s first 100% active natural plant serum. It contains no harmful chemicals, no additives, perfumes, not even water. Biologi is the first skincare company to master the entire production process from plant to bottle. Our products are entirely traceable and sustainable. Biologi is extracted, produced and packaged in Byron Bay, Australia, using organic native botanical’s. Ross is an experienced industry chemist whose mission is to prove through science that ‘natural’ and ‘organic’ not only work, but are better than synthetic manmade chemicals. 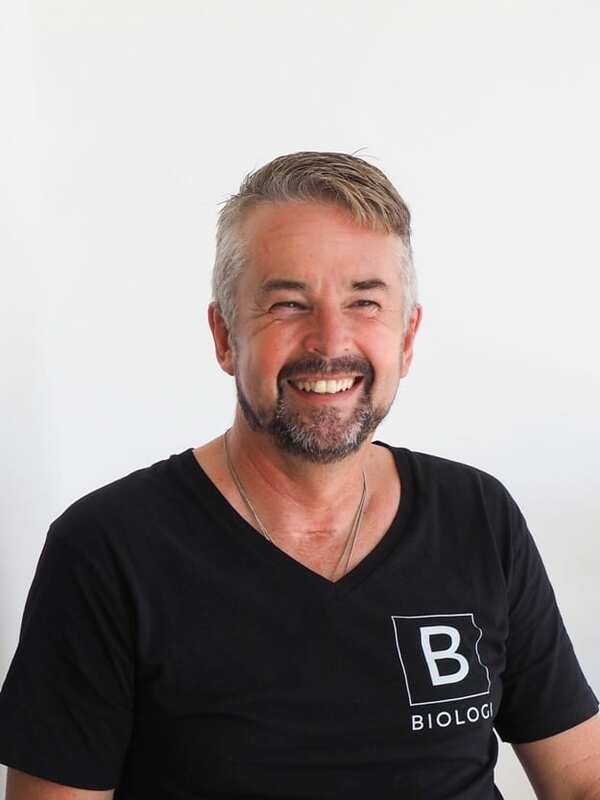 Born and educated in Sydney, Ross moved to Byron Bay to work with Thursday Plantation, and Southern Cross University. Ross has developed over 300 products and formulated active ingredients for large cosmetic companies. In 2000, Ross launched phytoverse, a wholesale essential oil and vegetable oil supplier to the cosmetic, pharmaceutical and aromatherapy industries, among others. phytoverse is Australia’s leading ethical natural materials wholesaler, and is regarded as the industry benchmark for quality and scientific validity - proving that natural materials can create more efficient products without the use of synthetic additives. Driven by demand from the industry for similar extracts, Ross pioneered his plant extraction method and launched Plant Extracts, supplying 100% active plant extracts to industries, which significantly outperformed synthetic alternatives. However the journey did not stop there, as Ross became frustrated at the low levels these plant actives were added to products, often only for marketing and labelling claims. Wanting to change the game, Ross launched Biologi, the world’s first ever 100% active single ingredient, organic, pure plant serum that works. With a strong ethical commitment to deliver effective products to women that are good long term for their skin, Ross is committed to revolutionising skincare for all. 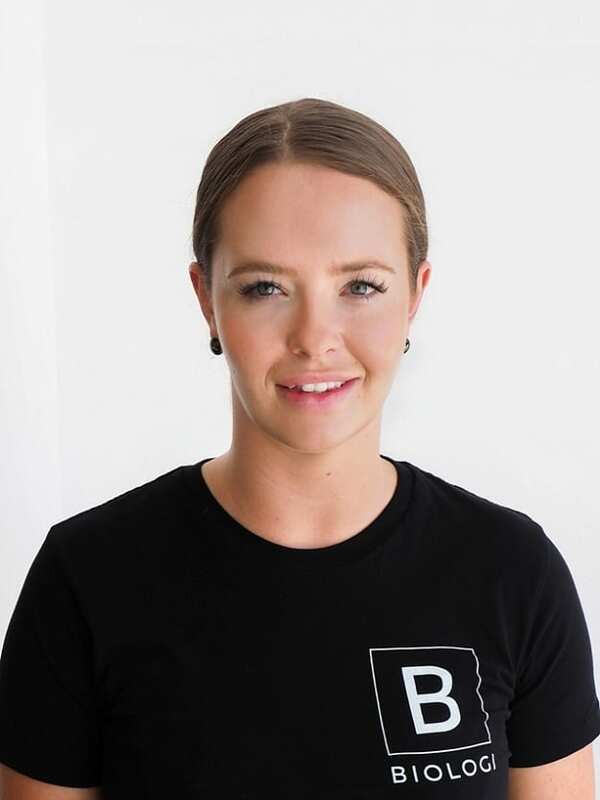 Lucy oversees the day-to-day operations of Biologi while maintaining her passion for ethical skincare and educating consumers on skincare solutions. As a qualified and experienced dermal specialist, Lucy deals directly with customers advising them how to use Biologi to address individual skin concerns for their skin type. Calling for industry-wide transparency about product ingredients and existing extraction techniques, Lucy is committed to helping women make informed choices about what they put on their skin and helping them cut through the marketing hype to make decisions based on the true facts. Lucy was born in New Zealand and lives and works in Byron Bay, New South Wales. She dedicates herself to developing the Biologi brand and creating ethically-sourced and manufactured products that help women feel as good as they look!